Dear readers, tonight with me is a master distiller from 17th century Ireland, here to tell us about whiskey, harps, and faeries. I was born in the west of Ireland in 1688. My family moved to Dublin when I was a lad. My father was a coachman to Doctor Delany of that city. Dublin was a peaceful enough place in those days despite the bitter fighting taking place elsewhere in country. It took many years for things to calm down after the Dutch invasion in 1689. I was very fortunate to grow up in a quiet city amongst level-headed folk. I’m deeply grateful for these happy childhood memories but I also feel blessed to be rescued from the blandness of it all. A man could die of boredom in such a place. My most cherished memories are of the music. Dr. Delany was a patron of the arts and I was often employed to serve at the great parties he put on. It was through him I first met the master harp player, Turlough O’Carolan. And it was Dr. Delany who recommended me to the great man as a servant and helper. 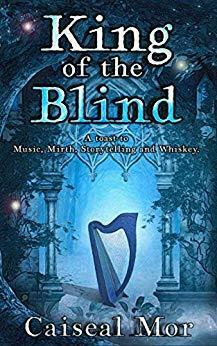 Master O’Carolan was a travelling musician but he was also blind, you see. So, he needed a reliable man to guide him, to lead his horse and to carry his harp. Master O’Carolan was greatly loved for his talent at the harp, but he had a weak spot for the whiskey. It was a full-time job seeing to his needs and a great challenge keeping up with him too. However, his circle of friends included some of the leading people in Dublin society at the time. Dean Jonathan Swift was a personal friend. Signor Geminiani, the renowned violinist, was another close acquaintance.